Comments: Deciduous, native in Europe to the Caucasus. After the first hundred years the beech begins to decline. 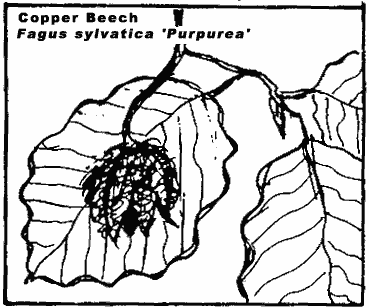 The little beech-nuts are edible and its oval leaves turn a glowing yellow in the autumn. 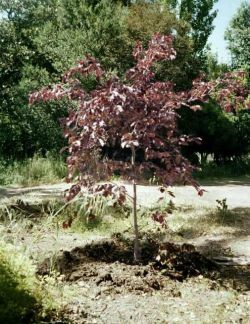 On Arbor Day, 2002, three copper beach trees were planted to replace trees known to be on the property in the past.